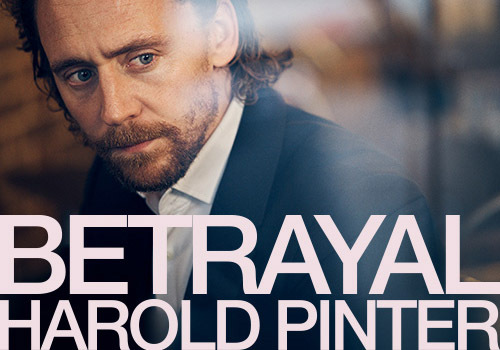 British actor Tom Hiddleston stars in Betrayal, the final instalment of the Pinter at the Pinter season which celebrates the great playwright on the 10th anniversary of his death. This moving tale of a secret affair is full of humour and feeling, and it runs at the Harold Pinter from March 2019. The Harold Pinter Theatre box office is located within the theatre building on Panton Street and is open Monday to Saturday from 10am up until the start of the performance (evening performance on two show days.) Tickets can be collected from the theatre on show days in the hour before the performance is due to start. Collectors must take their booking reference and the card on which they made the booking as proof of purchase. Previously the theatre was named the Comedy Theatre, but was renamed to honour playwright Harold Pinter when he passed. Originally opening in 1881 with comic opera The Mascotte, the building housed operettas and small comedies, with world premieres of Falka (1883) and Erminie (1885). Pre-War performances included Raffles (1906), and Peg O’ Heart of Mine (1914). Throughout the First World War. the venue began to establish itself in the West End, hosting revue shows from Charles Blake Cochran and Andre Charlot. The Comedy Theatre also was pivotal in overturning theatre censorship, staging productions such as premiere's of Arthur Miller's A View From the Bridge and Tennessee Williams' Cat on a Hot Tin Roof. Throughout the 90’s the theatre became home to a large number of Harold Pinter plays including The Homecoming (1991), The Caretaker (1992), Moonlight (1995) and The Hothouse (1995). Soon, a mixture of productions began to come into the Comedy Theatre, with notable shows including Steptoe and Son in Murder at Oil Drum Lane (2006), The Rocky Horror Show (2007), starring David Bedella, Dickens Unplugged (2008) and Andrew Lloyd Webber's Sunset Boulevard (2008-2009), directed by Craig Revel Horwood. A range of stars have appeared at the theatre, including Matt Lucas in Prick Up Your Ears (2009), Keira Knightley and Damian Lewis in The Misanthrope (2010), Mark Rylance and Joanna Lumley in La Bete (2010). In 2011, ATG bought the venue and renamed it the Harold Pinter Theatre, in honour of the playwright. Keira Knightley starred in The Children's Hour (2011) after this, with Kristin Scott Thomas in Betrayal (2011) and Thandie Newton in Death and the Maiden (2011-2012). Alan Ayckbourn's Absent Friends (2012) received an acclaimed revival, starring Kara Tointon and Reece Shearsmith, which was followed by a Terence Rattigan and David Hare double-bill of South Downs and The Browning Version (2012), with Anna Chancellor. Another Ayckbourn play received an all-star revival, with A Chorus of Disapproval (2012-2013) starring Rob Brydon, Nigel Harman and Ashley Jensen. A quick turnover of shows followed, including Rufus Sewell, Kristin Scott Thomas and Lia Williams in Old Times (2013), a five-star, critically acclaimed revival of musical Merrily We Roll Along (2013), Chimerica (2013), Jez Butterworth's Mojo (2013-2014), starring Rupert Grint, Ben Whishaw and Brendan Coyle, Noel Coward's Relative Values (2014) and The Importance of Being Earnest (2014). In 2014, Olivier Award-winning The Kinks' musical Sunny Afternoon transferred to the Harold Pinter Theatre from the Hampstead Theatre, where it remained for an impressive two years. Following the musical's departure, Mark Rylance's Broadway play Nice Fish (2016) transfers, followed by Imelda Staunton and Conleth Hill in Who's Afraid of Virginia Woolf? (2017). Following a five star revival of Who's Afraid of Virginia Woolf?, 2017 sees Andrew Scott take the lead role in Robert Icke's new production of Hamlet, transferring to the theatre from the Almeida. Hamlet is followed by J.T. Rogers' Tony Award-winning Broadway play, Oslo, which ran for a strictly limited 3 months. 2018 kicked off with an anniversary revival of Harold Pinter's The Birthday Party, starring Toby Jones, Zoe Wanamaker and Stephen Mangan, followed by a short-run of circus extravaganza Cirque Berserk. Nina Raine's Consent transferred to the Harold Pinter Theatre in May 2018, with a revival of David Walliams' Gangsta Granny playing throughout the summer. The Jamie Lloyd Company arrives at the venue for a 2018-2019 run celebrating the plays of Harold Pinter. The season includes stars such as David Suchet, Tom Hiddleston, Tamsin Greig, Meera Syal, Lee Evans, Martin Freeman, Danny Dyer, Jane Horrocks, Celia Imrie and more. Plays include One for the Road / New World Order / Mountain Language / Ashes to Ashes, The Lover / The Collection, Landscape / A Kind of Alaska, Moonlight / Night School, The Room / Victoria Station / Family Voices, Party Time / Celebration, A Slight Ache / The Dumb Waiter. To finish the season, Jamie Lloyd presents Betrayal, one of Pinter's full-length plays, starring Tom Hiddleston.